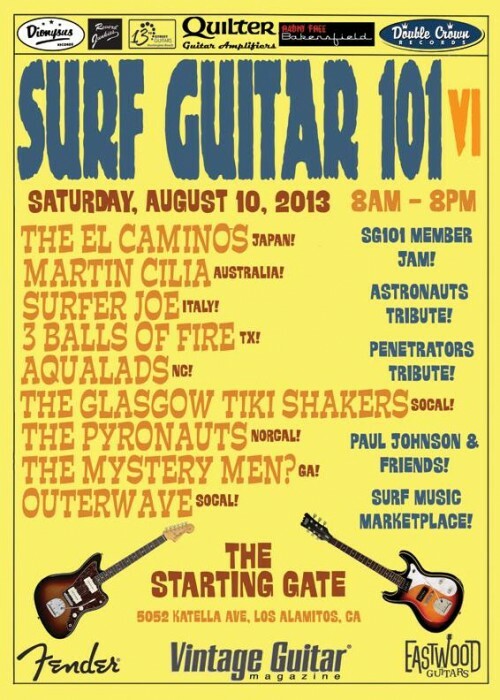 Surfguitar101.com is very pleased to announce The Sixth Annual Surf Guitar 101 Convention! This year the festival features the best surf bands from the United States, Italy, Australia, and Japan! Doors open at 8am, the festivities run from 9am to 8pm. Dionysus Records will have a vending booth! For questions & discussion, see the SurfGuitar101.com forum thread. Surf guitar legend Paul “Mr. Moto” Johnson & Friends! A tribute to the Astronauts! A tribute to the Penetrators! 3 Balls of Fire (Texas)! Martin Cilia & Band (Australia)! As usual we’ll have vendors selling surf music, clothing, and more! 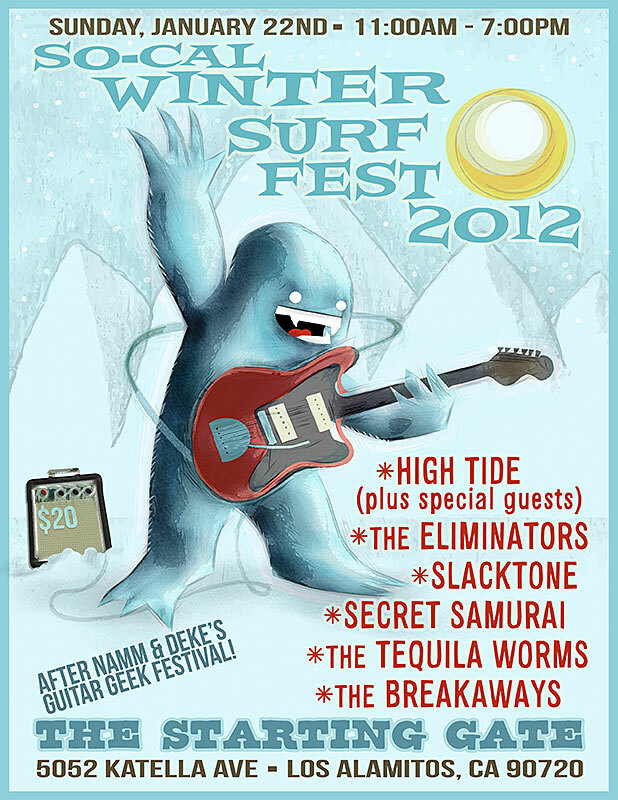 1/22: So-Ca Winter Surf Fest 2012! The show happens the day after Deke Dickerson’s Guitar Geek Fest in Anaheim (in conjunction with the Namm weekend) as well as the same weekend of the Vintage Guitar and Amp Swap Meet at OC fairgrounds making it a full-on reverb-drenched six (or twelve) string weekend here in Southern California!